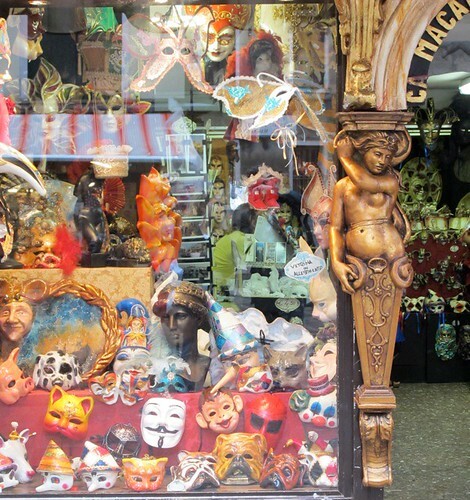 The allure of Venice is legendary. It’s been a famous travel destination for centuries. When you think about Venice, you might imagine Piazza San Marco to be breathtaking, the food to be orgasmic, the women gorgeous, the men handsome, the winding alleyways romantic, and the city itself impossibly picturesque. And you’d be right. Rarely does a city deliver on all its unspoken promises. 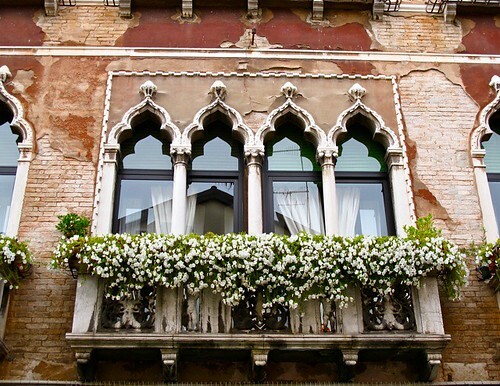 Venice does. This alone makes it well worth the trip. This extraordinary city cast its spell on me and I’m already planning my return to start my new life as a Gondolier. 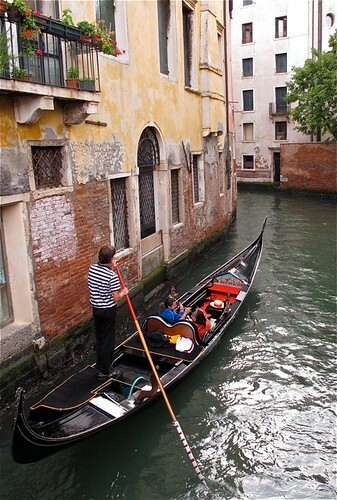 As you may know, I’ve been trying to free myself of most of my possessions and the temptation to live the idyllic life of a Gondolier is almost too much to pass up. Should this come to pass, I promise to send postcards. 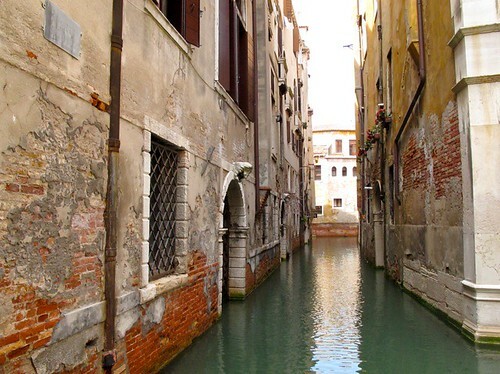 You will find no cars in Venice as they have been banned. You will be getting around by foot or by boat. But don’t fret, Venice is incredibly small. You can walk from one end to the other in around an hour. And you should walk and wander and explore. There’s no telling what you will discover or what unique experiences you will have when you give yourself the time to let the day unfold. It’s those unexpected things that will make your trip unforgettable. For me it was: The wonderful conversation with the shop lady and her giggling 7 year old daughter who preferred to draw pictures on a notepad to answer questions instead of speaking and who couldn’t wait to go to Hawaii. Going to the Peggy Guggenheim museum and putting my wish on the wishing tree that was donated by Yoko Ono. Getting caught in the rain without an umbrella or proper attire and popping into small shops on the way back to the hotel to avoid getting drenched. The tacky gondola ride that was actually staggeringly romantic (Just don’t get a gondolier who insists on singing the whole time!). 1). Take the water taxi from the airport, NOT the water bus. Yes, it costs significantly more, but it will drop you right at the water landing of your hotel and you will get to your hotel in 15 min. instead of 45 min. After the flight in, it’s nice to not have another long wait before getting into the city itself. 2.) Tipping is unnecessary. Venetian restaurants already add in a surcharge. Save your change for more Gelato. 3.) Bring walking shoes. While Italians are incredibly stylish, it takes years for Italian women to hone their balance to strut down those cobblestone streets in their Ferragamos without falling. You would do well to wear something you can walk in without injuring yourself. Shake ingredients with cracked ice, then strain into a chilled cocktail glass and finally, garnish with a twist of orange peel. Although traditionally drunk before your meal, you can certainly enjoy this classic cocktail any time. 5.) Stand for your coffee. If you are going to a café for a quick coffee, then just go inside and stand at the counter with the locals. If you sit out front, you will be charged an extra surcharge for the privilige. This is worth it if you are going to be there for a while people watching or chatting, but not if you are just grabbing a quick espresso. 6.) 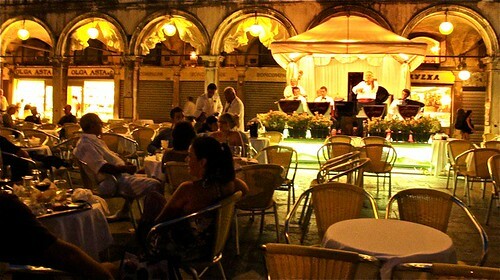 Spend an evening in Piazza San Marco. This is a case where paying the extra surcharge to sit at the outdoor tables and outrageous prices for food and cappuccino is worth it. The people watching is world-class, the dueling bands are charming, and the overall effect is magical. Ola to Madrid Gay Pride! This entry was posted	on Wednesday, April 20th, 2011 at 6:39 pm	and is filed under Adventures, Europe, Places. You can follow any responses to this entry through the RSS 2.0 feed. You can leave a response, or trackback from your own site. 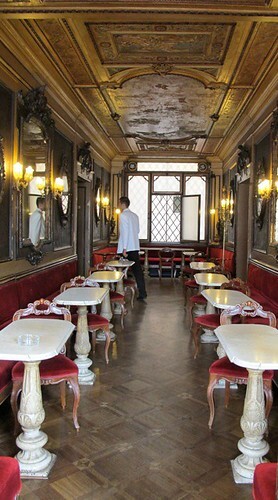 Don’t forget the golden rule of coffee drinking in Italy – no cappuccino after mid-day! 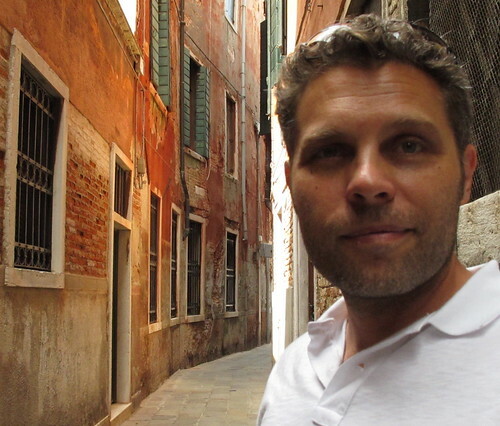 I must admit, I was never that enamored with Venice – my heart belongs to Roma. However, reading this does make me want to revisit! I must have broken that rule a dozen times! Tell me why no cappuccino after noon. 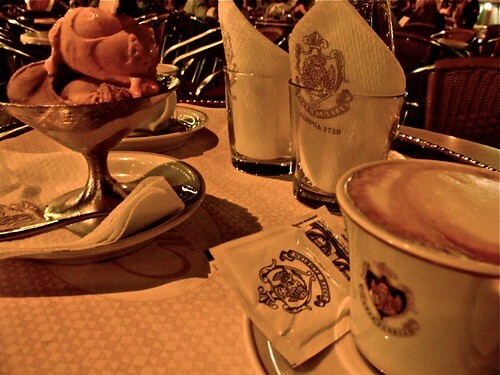 Cappuccino is strictly a morning drink – have it in the am with a pastry and the locals on their way to work! Great pix & advice again Algis!! If I could add one – even though you kind of already hinted it: spring for the gondola ride! It seems like a super-cheesy tourist thing to do (and expensive of course), but it really is a great way to see the city & a great memory. We were glad we did it!! Yes, the gondola ride was amazing. I wasn’t going to go on it, but someone convinced me, and I was glad I did. I love reading your stuff Algis! I must speak up to second the tip on wearing comfortable shoes. It took me years to learn the art of walking in heels down old Andalusian streets (and look graceful doing it), definitely a challenge. And yes, coffees at the counter at bars are a must. Even if some bars can seem somewhat uninviting, I think they have their own personality & should be appreciated! By the way, wonderful photography. Thank you so much Adriana. Glad you’re enjoying the site. It’s good to hear from someone with true experience navigating those streets in heels.